In March 1802, just two months after the creation of the United Kingdom and Ireland, the British signed a peace treaty with the French at Amien. In London, William Pitt resigned as Prime Minister because the King refused to allow the emancipation of Catholics declaring that he would consider anyone who would propose such a thing as his personal enemy. By 1803 the Treaty of Amien fell apart bring France and the new United Kingdom back into conflict with each other. The remnants of the United Irishmen Society began to make overtures to Napoleon asking for assistance. 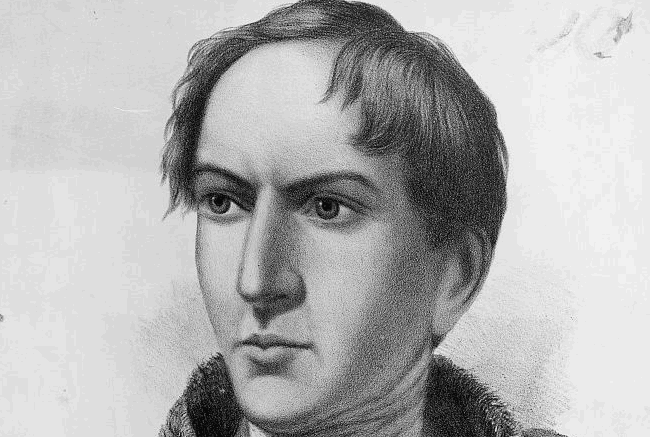 Their leader was Robert Emmet the son of a top surgeon. Emmet and his brother Thomas had helped to reorganise the United Irishmen Society after its bloody defeat in 1798 and had petitioned Napoleon to invade Ireland. He had many friends in Dublin who helped to finance his plans to bring about another rebellion. He sent Thomas Russell, who had with Wolfe Tone helped to found the United Irishmen, to Ulster looking for support from the Presbyterian’s there. In Dublin Emmet and his men had been secretly building up large arsenals but on 16 July 1803 there was an explosion at the arsenal on Patrick Street, but even this did not seem to come to the attention of the authorities in Dublin Castle. Emmet had set 23 July 1803, a Saturday, for the rising. Prior to the rising reinforcements came from Kildare and asked to view the assembled weaponry. They found that Emmet had amassed quite a lot of explosives, pikes and rockets but very few guns. They turned away home and the leaders in Dublin advised Emmet to call off the rebellion. He refused and collected quickly £500 to buy guns. However this money was stolen from him by the man he sent to buy the guns. Those who had gathered to take part in the rebellion started to drink in the local taverns. Emmet had expected a force of 2000 men but less than one hundred had turned out and many of them were by now drunk. Leading his men to the Castle, Emmet had hoped that the people would support him. When that didn’t happen he told his men to fall out. He left the scene and went home whilst his men went on a drunken spree. Approximately 50 people died that night including The Chief Justice Lord Kilwarden and his nephew the Reverend Richard. Wolfe. In the province of Ulster Thomas Russell had attempted to bring the Presbyterian’s into the fight but though many would have liked to join a rebellion they had no arms. There were drilling parades in parts of Antrim and Down and a small turnout in Loughlinisland but had no engagements. Thomas Russel had returned to Dublin and was captured whilst trying to rescue Emmet. He too was convicted of treason and hanged in Downpatrick on 21 October 1803.